Android M is finally here. With so much of new things in Android L, I was not sure of what else to expect from Android M. However, Google has given a sweet surprise by coming up with a new Android version that offers so many new features that it seems like a perfect version of Android. They have worked on the battery issue and with Doze mode there is no need to worry about battery any more. The finger print support, app permission, new app drawer all these new exciting features make Android M a completely new and refresh OS version. Well, normal users will have to wait for few months to get official Android M update but, if you are a Nexus user, you can enjoy the latest Android features without any wait. 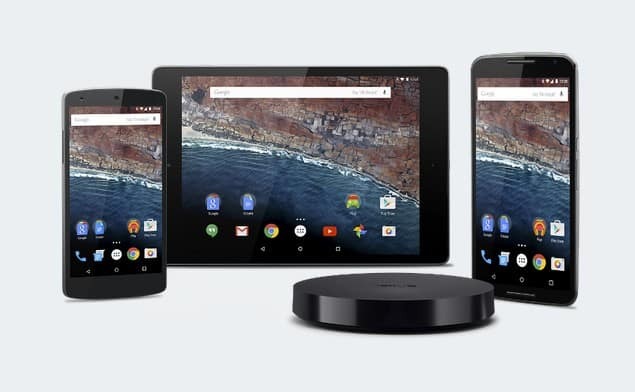 In this post, we are going to tell you how to download Android M Preview on Nexus devices. It is not the full and final version of Android. It is basically a preview with a lot of bugs in it. If you are ready to work with these bugs, you can download the Android M Developers preview. It is available for only four devices which are Nexus 5, Nexus 6, Nexus 9 and Nexus player. So, if you have one of these devices, you are good to go. If you don’t have unlocked boot loader in your Nexus device, you will lose all of your data while downloading Android M, so we will suggest you to either unlock the boot loader or take backup of the data. The very first thing is to download and install the latest Android Studio Preview on your Windows computer. This file will install the ADB and Fastboot programme which needs to be accessed through the command terminal. Now, you need to add the SDK folder. For doing so, right click on “My Computer” and click on “Properties”. Go to “Advanced System Settings”. Now, click on System Properties > Advanced > Environmental Variables. Now, in the Window, select Path, click on Edit and then type in the name of the directory where you have installed the SDK File. Don’t forget to separate each entry by a semi-colon. Now, you need to enable USB debugging mode in your nexus device. For doing this, go to Settings > About Phone > Software information. Tap on the build number seven times Now, go to Settings > Developer Options and tick on USB debugging. Now, you need to download the correct factory image for your nexus device. Make sure you are downloading the correct factory image as the image will work only for its own specific model. Now, extract the downloaded factory image on the computer and connect your Nexus device to your computer via a USB. Start the device is fastboot mode by holding the Volume Up/Down button and power button simultaneously. Now, keep the phone connected with PC and open command terminal and execute “adb reboot bootloader”. Now, just restart your phone and you will have Android M Preview version on your nexus device. If you face any problem or issue while downloading Android M on your Nexus device, comment below and we will surely help you out.